The body is an outward expression of that which is taking place within the mind, soul,and Energy field of the individual. Thus, any healing technique which deals only with the physical body and the energy field of the individual tends to accomplish one thing keeping this in mind, that how color can help jumpstart the tired or diseased body. Color healing therapy, can be implemented in a number of ways. The ancients built great halls of color healing, where the individuals entered and were bathed in light, that was filtered through various colored glass panels or windows. Chromo therapy or Color therapy involves the use of color to achieve overall good health and to treat some diseases. Useful in treating emotional and physical problems related to sleep, chromo may involve exposure to colored lights, massage oils or ointments colored, meditation, Specific color of Gemstones and visualization of certain colors or wearing certain clothing colors. Color channels were used for healing in ancient Egypt, China, India . Energy (spiritual) healers often supplement their healing work with color healing. As they lay their hands on the patient, they mentally direct specific color rays into the patient's aura and body. Color is a powerful communication tool and can be used to signal action, influence mood, and even influence physiological reactions. Certain colors have been associated with increased blood pressure, increased metabolism, and eyestrain. Colors are known to influence behavior and brain of the people. Color therapy has been used in Egypt, India and China for centuries. Colors can heal disorders generated out of stress. Every color has a different effect on the human mind . Color therapy, or Chromo therapy, is an age-old practice that aims to aid bodily healing on all levels (mental, spiritual, and physical). Color therapy is a unique way to further create harmony in the body, integrating what nature has to offer. Unlike expensive treatments, however, the great thing about utilizing Chromo therapy is that, it is abundantly accessible in everyday life . Color is an integral part of our lives and reflects its beauty from the clothes we wear to the food that we eat. Even our thoughts and emotions are tinged with color, each having its own perceived attributes and qualities. Why person wearing blue sends message to our brain of stability and reliability. Businesses that want to project an image of security often utilize blue in their advertising and marketing efforts. It is a forgotten language that has been around since the beginning of time. A chromo or color therapist uses colors and light for curing various disorders by applying these at acupoints and other parts of the body. The most common tools used for color application are candles, wands, colored fabrics, colored glasses, lenses and gemstones. Colors have positive as well as negative effects on the body, therefore before using colors for their positive effects, one must ascertain the right amount used. 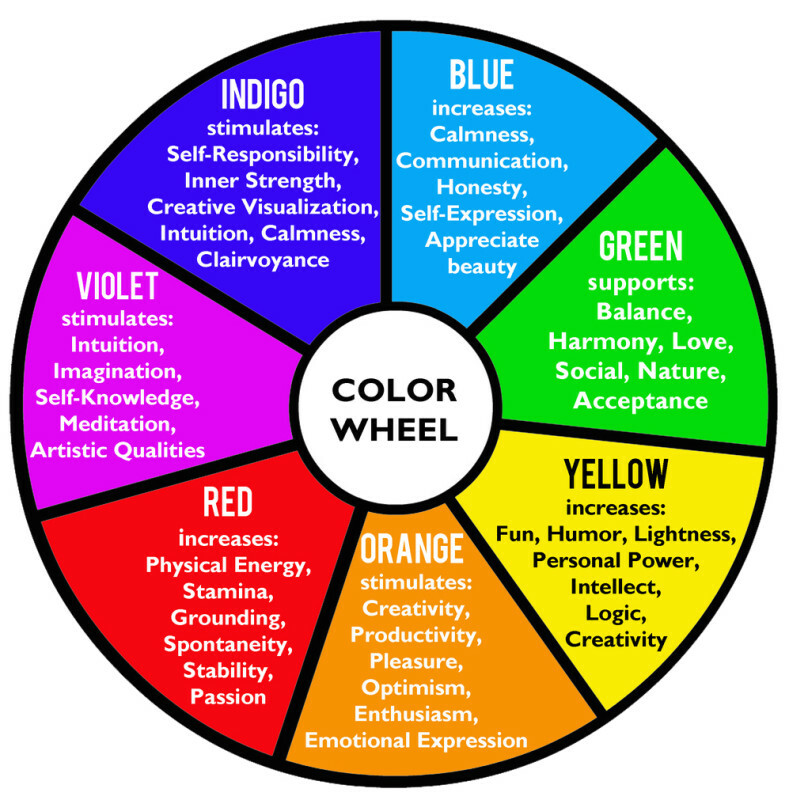 Color Therapy or Color Healing is the use of color in various forms for the purpose of creating balance and health in the human system. The human system includes not only the physical body, but also the emotional, mental and spiritual aspects. Working with the is referred to as a holistic medicine. In 1666, English scientist Sir Isaac Newton discovered that when pure white light passes through a prism, it separates into all of the visible colors. Newton also found that each color is made up of a single wavelength and cannot be separated any further into other colors. Further experiments demonstrated that light could be combined to form other colors. For example, red light mixed with yellow light creates an orange color. Some colors, such as green and magenta, cancel each other out when mixed and result in a white light. During ancient Egypt, practitioners built solariums in specially designed windows and sun lenses that broke the color spectrum. Ancient observation chromo therapy is a century-old concept. The history of color medicine is as old as that of any other medicine. Phototherapy (light therapy) was practiced in ancient Egypt, Greece, China and India.The Egyptians utilized sunlight as well as color for healing. Your feelings about color are often deeply personal and rooted in your own experience or culture. For example, while the color white is used in many Western countries to represent purity and innocence, it is seen as a symbol of mourning in many Eastern countries. Why is color such a powerful force in our lives? What effects can it have on our bodies and minds? Colors on the blue side of the spectrum are known as cool colors and include blue, purple, and green. These colors are often described as calm, but can also call to mind feelings of sadness or indifference. Pharmaceutical is the world's largest industry. Practical example, which we all go through. if you belong from India or China. you may recall that 95 percent of the liquid medicine bottles came in the brown colour. in astrology, we have 9 planets and each planet is signified by a certain colour. Rahu is a ruler of sudden effects. as taking medicine from brown shade bottle, the person immediately starts recovering. Medicine colour could be anything as per the illness but as you are taking medicine in context with brown colour, it is sending a message to your brain for giving sudden change in the body. The Planet 'Rahu' colour is Brown.